When considering investments, returns are one factor but another is risk. What is the prospect of losing money if things don’t go to plan? This is one reason why investors look to include debt-based investments in their portfolios. 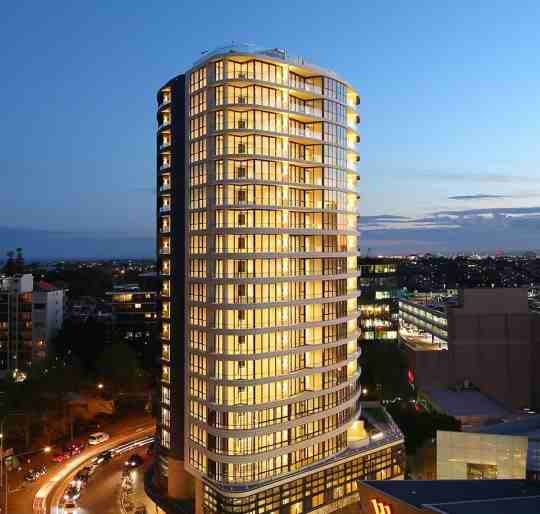 The Qualitas Real Estate Income Fund (ASX: QRI) is one such investment. It invests predominantly in Commercial Real Estate (CRE) loans secured by first or second mortgages. This means that in the event that the borrower can’t repay their loan, the lender can take possession of the assets that were provided as security. For CRE loans, this will be a real estate asset, such as a development site, block of land or property that’s being rented out. There can also be other types of security in the loan agreement, such as personal guarantees from Directors. The value of the assets held as security influences the size of the loan that will be granted. 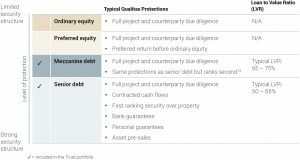 Qualitas provides senior loans where the loan-to-value (LVR) ratio is between 50%-75%, and for mezzanine loans the LVR is usually 65%-75%, as outlined in the table below. As shown above, a ‘first’ or ‘second’ mortgage refers to the seniority of the creditor: where they sit in the queue when it comes to being repaid. The debt layers of the ‘capital stack’ – as it’s sometimes called – are secured by assets. Equity is the layer that is ‘at risk’: the upside for profit is uncapped, but it is not guaranteed either. If the investment fails, common equity holders are the last to be repaid, while preferred equity holders sit ahead of common equity, and behind second mortgages. Looking at the QRI’s portfolio, most of its loans are first mortgage, although a small proportion are second mortgage. The reason for this mix is that each type attracts a different interest rate. The senior (first mortgage) loans are lower risk, and therefore the interest rates are lower. Mezzanine (second mortgage) loans have a higher risk level and attract higher interest rates compared to a senior loan. 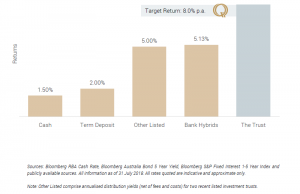 This ability to invest in first and second mortgages is what allows QRI to set a target return of 8%, which is higher than comparable fixed-income products, as shown below. The structure described above is specific to CRE loans, however, the concept of a capital stack – with different levels of protection – applies to other investments. A publicly listed company will often have a mix of debt and equity funding. Shareholders provide the equity, while banks or bondholders provide the debt. There can be several levels of funding within this capital stack, including bank loans, unsecured bonds, hybrids, and lastly, equities. The company’s assets provide the security for senior secured loans, and these lenders are the first to be repaid in the event of a company’s liquidation. Unfortunately, shareholders of publicly listed companies are the last to be repaid in the event of a failure. If there are no remaining assets, equity holders lose their capital. In addition, any dividend payments to equity holders are discretionary; they can only be paid if the company has met its other financial obligations. By comparison, the company is obliged to make agreed payments to lenders, which is why it’s called ‘fixed income’. Lenders and bondholders have a more predictable return based on the agreed interest rate, but while listed bond prices can move, there is less volatility. The majority of fixed income returns are generated by the interest agreed at the outset. Every investor has their own particular investment goals. For those seeking capital growth, equities can play an important part in their portfolio. Those looking primarily for income, and who are focused on preserving capital, may look to debt-based investments such as QRI which may help to meet their investment objectives. For more information click here. This communication has been issued by The Trust Company (RE Services) Limited (ACN 003 278 831) (AFSL 235150) as responsible entity of The Qualitas Real Estate Income Fund (ARSN 627 917 971) (Fund) and has been prepared by QRI Manager Pty Ltd (ACN 625 857 070) (AFS Representative 1266996 as authorised representative of Qualitas Securities Pty Ltd (ACN 136 451 128) (AFSL 34224)).